Last Monday I spent an interesting and informative day with the Central Manchester Foundation Trust (CMFT) Community Infant Feeding Team. I spoke to Justine Baines- Infant Feeding Lead and Zoe Ralph HV and Lactation Consultant about this innovative service provided by Central Manchester Foundation Trust to address the High Impact Area- Breastfeeding. The CMFT Infant Feeding Team is a brand new Health Visitor led service and has been developed to provide a rapid response for infant feeding support to mothers living in Manchester. Breastfeeding has been shown to have many health benefits and to contribute to improved long term outcomes for children. 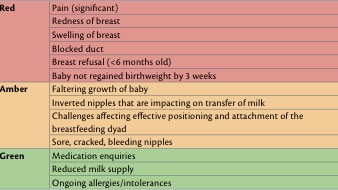 The aim of the Infant Feeding Team is to overcome challenges and so improve breastfeeding rates. The team aims to provide an accessible service for Manchester and so reduce inequalities in health. Figures show that 45.6% of Manchester’s LSOAs are in the most deprived 10% in the country. Health inequalities show that on average a child born today in Greater Manchester is unlikely to live as long as a child born almost anywhere else in England. As women from socially deprived backgrounds are less likely to start or continue breastfeeding, there is a need for targeted support to help to improve rates in socially disadvantaged areas thus the investment from within the Trust. The team provides evidence based interventions in accordance with NICE guidance and UNICEF Baby Friendly best practice standards. Support is offered either face to face in the home, at clinic or as part of a group or via telephone consultations. The active Facebook page is also proving to be valuable resource for clients requiring contact or support from a specialist service. The team have developed a RAG- red, amber, green triage system to help the team to manage and prioritise referrals. This system is used daily to ensure that clients receive support in a timely manner. Zoe Ralph is a fellow for the iHV and has a dual role as health visitor with a caseload and ring fenced time within the Infant Feeding Team. 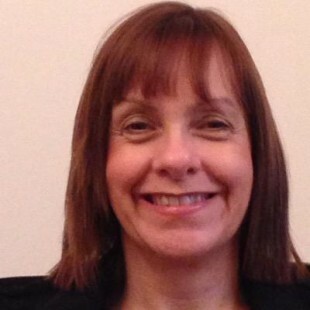 Zoe obtained her International Board of Lactation Consultant Examiners qualification which she says allows her ‘to support women and babies needing specialist support’. Learning from colleagues that are also undertaking the training for this qualification allows for a good learning environment, keeping evidenced based practice and the families in Manchester at the forefront of our everyday practice in the Infant Feeding Team. Our professional colleagues that contact us for help and advice feel that this has also enhanced their knowledge in relation to infant feeding”. Helen Calvert- Mum and Member of Maternity Experience Campaign from Greater Manchester said "Having an IBCLC health visitor on an infant feeding team, with other team members working towards that qualification, is fantastic. That is the kind of specialist, experienced, knowledgeable support that all families deserve." Public Health England (2015) Rapid review to update Evidence for the Healthy Child Programme 0-5. PHE. London.